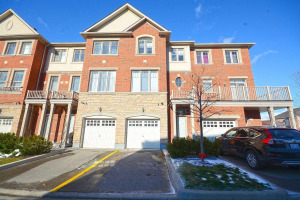 Churchill Meadows in Mississauga is a good area to live in. The area is bordered by Britannia (on the North), Winston Churchill (on the East), Eglinton (on the South) and Ninth Line (on the West). Churchill Meadows has a variety of Public schools and Catholic schools in the area, so there is a lot of choices you can make to better suit you. For Public schools there is Artesian Drive (K-5), Oscar Peterson (K-5), McKinnon (K-5), Erin Centre Middle School (6-8), Ruth Thomson Middle School (6-8) Applewood Secondary School, and Stephen Lewis Secondary School (9-12). Churchill Meadows also has many Catholic schools which include St. Albert Elementary School, St. Richard Catholic Elementary School, St. Teresa of Avila Separate School, St. Elizabeth Seton School and St. Joan of Arc Secondary School. 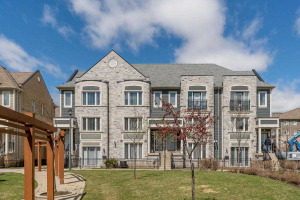 Stephen Lewis Secondary School and St Joan of Arc Catholic School are among the top schools in Mississauga.Search for Homes and Condos in the Stephen Lewis School and St Joan of Arc Catholic School Districts. As you can guess Churchill Meadows is also well connected with other parts of Mississauga and the GTA. There is Mississauga Transit that services roads in Churchill Meadows. The nearest GO Station connecting this area with parts of the GTA is Streetsville GO. 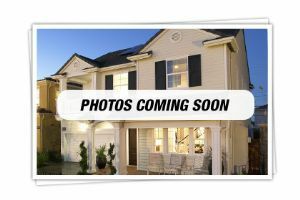 This area has much to offer, such as parks, play grounds, soccer fields, skate boarding area, baseball fields, basketball courts, track fields and parks. If you want to workout, or join many programs such as fencing, yoga, tai chi, kickboxing, karate, skateboarding, volleyball, badminton, basketball, tennis, little tykes soccer, floor hockey and much more is available at the Churchill Meadows Community Centre. The Centre also has a community and a school library. Churchill Meadows sub-division offers newer homes. This area was developed in early 2000 and offers a good mix of homes and condominiums. 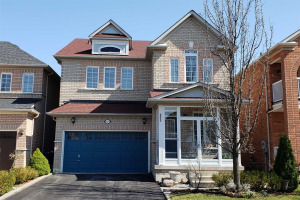 You will find starter homes that come as condominium stacked townhouses (mostly build by Daniels, marketed as First Homes and ideal for first time buyers), attached townhouses, freehold townhouses, semi-detached homes and single detached homes. There are also some street level Live and Work townhouses in Churchill Meadows. Churchill Meadow properties start from low $220s and go up $900,000 (for up to 3,000 sq.ft. single homes). Some of the luxury single homes (3,000+ sq. ft) in Churchill Meadows are in million dollar price range. Churchill Meadows has a good mix of demography. There are some 13,000 households in the Churchill Meadows sub-division. The average income per household in Churchill Meadows is approximately $106,000. 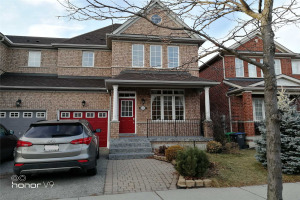 Amit and Pratham currently live in the Churchill Meadows area and have helped many clients to buy, sell and rent their homes in this newest and youngest neighbourhood in Mississauga. 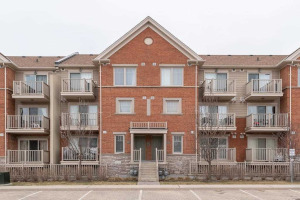 With our Remax office at Square One, we actively serve all the neighbourhoods that fall between Mississauga City Centre and Churchill Meadows and surrounding communities of Lisgar, Meadowvale, Meadowvale Village, Central Erin Mills, Streetsville, Erin Mills, Creditview, Erindale, East Credit, Cooksville and Hurontario neighbourhoods. When thinking of selling or buying, always remember, “Local Experience Pays”. Call Team Kalia, if you are thinking of buying, selling or renting a home or a condo in Churchill Meadows area. Showing 68 properties out of 82 currently available on the market.